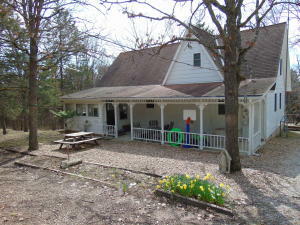 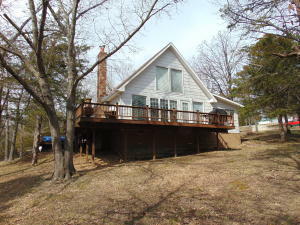 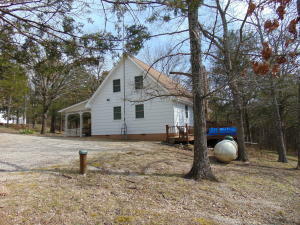 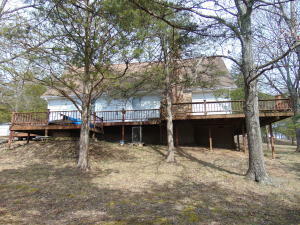 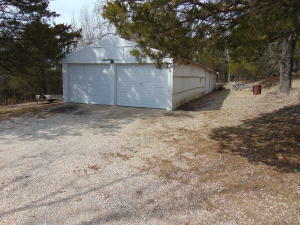 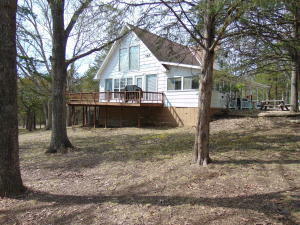 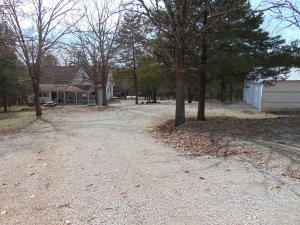 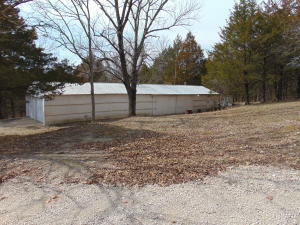 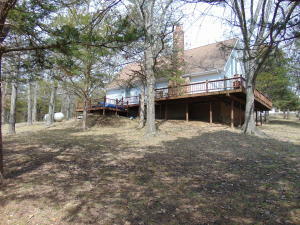 Tucked away on 6 acres, this Cape Cod type 3 bed, 2 bath near Campbell Point, on Table Rock Lake, might be your families vacation haven. 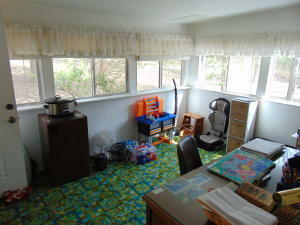 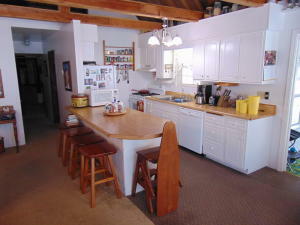 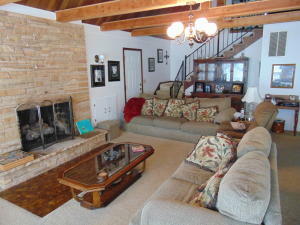 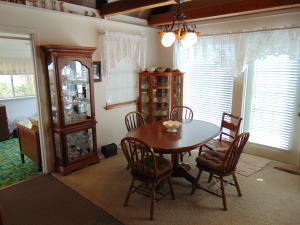 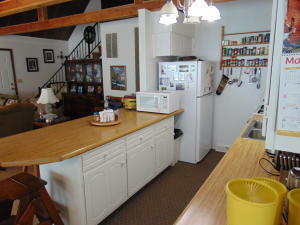 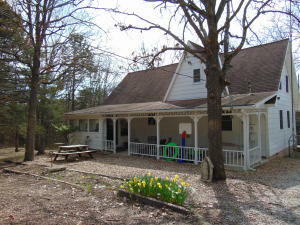 The home features a wide open kitchen/living/dining with a Galley type kitchen w/ a 12 foot food bar. 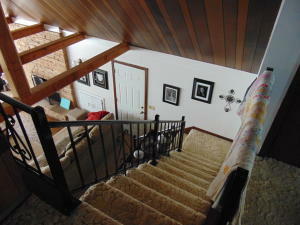 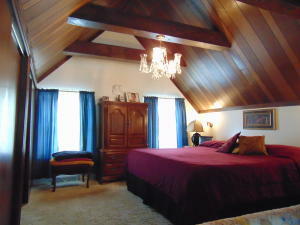 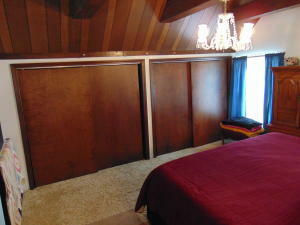 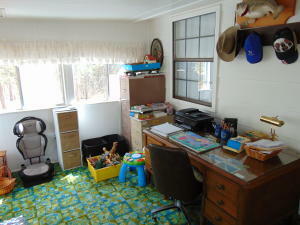 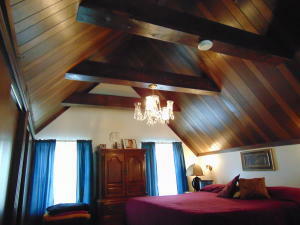 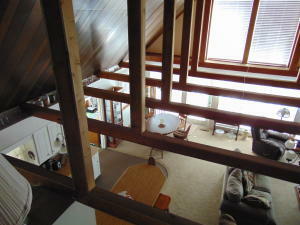 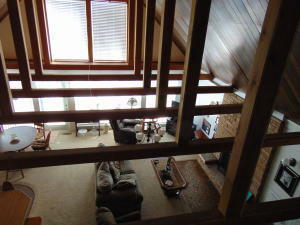 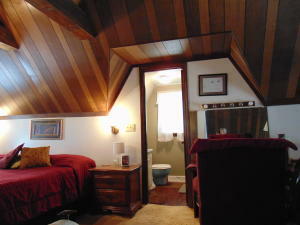 Master bed is located in the loft with private closets and bathroom. 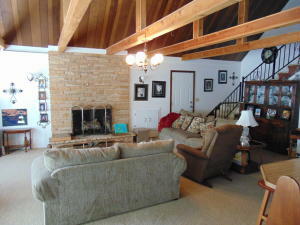 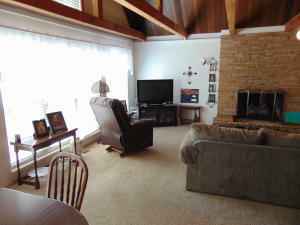 The main level has Vaulted ceilings/visual wood beams, Full Length Windows on South end of living, 2 Bedrooms and the Bath/Utility. 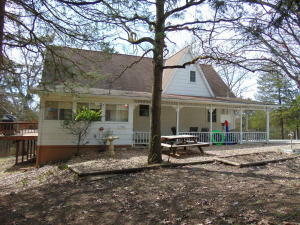 The home also offers a sunroom on the front of the house at the entry, a large front porch, wood deck wrapped around back and side, and a hot tub.The Garage is detached and is 80x20 with 2 main doors. 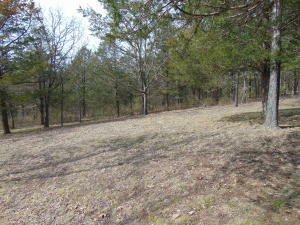 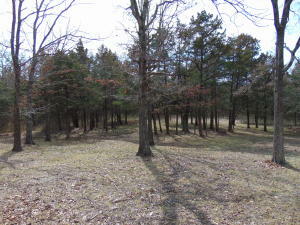 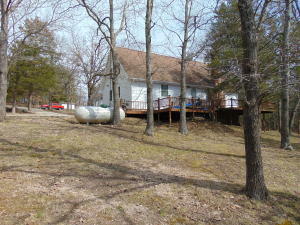 The Acreage is slopped to the West and is Wooded. 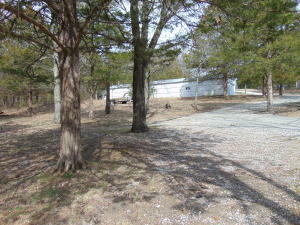 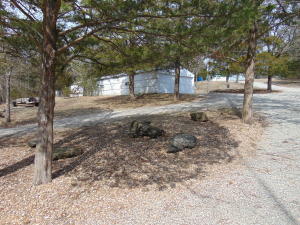 The property lies below and out of sight of the public road way.